The other week I talked about how much it cost to build and run my new product. But I did not say what the product was. Today I’ll introduce you to Dailytrades and give everyone free access for the next week. Feel free to test out the service and see if it will work for you. Dailytrades is a continuation of products I am making that replicate the ways I have made money from betting. 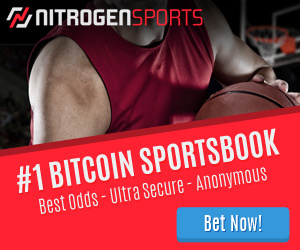 The Dailyprofit site has been running for 2 and a half years and takes advantage of bookmaker promos and also has a pure betting service as well. The Value and Risk-free service helps members build their banks with very small to no risk. As we know, this is a very lucrative endeavour but only lasts a few years before the bookies start bonus banning you. The Sportpunter service is a pure betting service. It relies on the data modelling skills of Jonno to find value in the betting market. This blog has been all about tracking my performance following tipsters like Jonno. But there are numerous other ways to make profits from bookies. One of those is arbing/trading. That is what Dailytrades.com.au is all about. Dailytrades takes the Pinnacle price (and a few other things) and converts it to a 100% market. Giving the closest reflection of the true odds of a match at any given time. It then compares that price to the odds from the Australian bookmakers and alerts you when the Aussie bookies have it wrong. This means you have a value bet on your hands. The software knows your bank size and risk profile (which you put in) and will tell you exactly how much to bet on each trade. Once you have bet and registered the trade, it records the bet and will automatically settle the bet in your bet history when the match is over. We also give you all the analytics you need to look into your trading. Please note: Just because we have an edge doesn’t mean this is a money printing machine. An edge means over the very long term, you should get a return, but over a few hundred bets, variance plays a huge part. There is as much risk involved in this as there is in following the Sportpunter models. Over the longterm I know this software will give all members a 3-6% return, but over the course of a few months, many will be well over that return and many well under. It’s only after you have placed at least 1,000 trades will it be close to the expected return. Also note: Whenever we are taking profits from Aussie books, we know they will eventually shut you down. So if you value your accounts, you should only be trading the big sports. So if you are still getting bonuses from these books, I would only be trading on the biggest leagues (NBA, EPL, NFL, So on). You can watch a video walk-through of the platform. Over the coming weeks, I will go into greater detail on why the Pinnacle closing line is so important and the variance involved with trading. This software can be used in a number of ways and so far we have had over 100 Dailyprofit members testing it out. They have used it in a miriad of ways. Arbing: The majority of the trades that pop up can be arbed for guranteed profits. Just back at the bookmaker and lay on Betfair (or back the opposite side at Pinnacle). Bonus bets/Sign up offer turnover: Members can convert bonus bets at 80%+ with ease by setting up their tradefeeds to show them specific bets to place. This saves hours of manual work per week. I’m sure members will find more unique angles to use with the software over the coming months. I’ve opened up the software for anyone to trial for the next week. Just head to the site and click on create account. Once in, there is a help section to get you on your way. I hope you enjoy this new product. I’ll be updating my own results each month using it on the blog. Click here to sign up for free now. Should bookmakers do more to help problem gamblers? Good idea, Steve. This will work in the longterm for sure. (I’m doing a similar thing, but only for me, not for sale) Is this working with only Asian and BetFair/Matchbook accounts? As I see maybe the Pro version is the good one that supports Asians. But it is not clear how this works because the embeded Youtube video is not working, saying the video is private. If Daily Trades only works with joke bookmakers (I mean limiting bookies) then this is only good for starters. I’m tired of making new accounts every month for my friends, so I have moved to asian / exchange only solutions. Dailytrades is for Australian books. While still very profitable right now, once we get min bet laws passed in the future, this will hopefully be much more valuable. The video on that page is private. Could you make it to public? Thanks. on which page? the trademate one? That isn’t my site, so I can’t do anything about it. It works for me. I thought this is the same product you promote. Looks like the owner is the same: Edge Analaytics AS. Yes, Dailytrades is a white label version with Australian books. But I do not have any ownership in Edge Analytics. So adding the odds from Australian bookies taked so much time and money? As I known there are many odds provider who gives you API (XML feeds or JSON REST services). So it is realtive easy to get the odds and alerts from bookmakers. I’m a programmer and just wondering the 2500 hours. Please, don’t take this as offending. Steve, I suppose you tested the original product before offering this service. Could you please share your graph/results? 2500 hours is what it took to build the entire product, as a programmer you know basics like getting the api feeds in and building the platform are very easy and would only take a few weeks (including testing/so on). The hard part is coming up with the algorithm to make it work how it is meant to. So thousands of hours of thought (between a few people) were needed to work that out and how to program it. All the other stuff anyone can do.. The actual guts of the product is what takes up all the time. Steve – long time reader and first time poster of your great blog. It’s nice to see someone bringing a fairly sophisticated product to the Australian market. Could you give some insight on to how much you think a typical punter could make with this product? I’m struggling to understand how it works. Let’s say we focus on placing bets with an edge of around 2-3%. This is just my own assumption on the basis that I think the bookies would be quick to shut you down if you start going much higher. To keep the math simple, let’s say the majority of bets are on 50/50s like lines, under/overs and the like. This will be a fair assumption in practice, as illiquid markets/lines should be avoided to keep under the radar. Under these assumptions, over the long run, half our bets will lose, while the other half will return a 3% edge. This gives us a 1.5% edge per $1 wagered. We’d therefore need to wager nearly $12k to have an EV equal to the $175 monthly fee. Assume a $100 average wager, and that’s 120 bets. (ii) if you’re being sensible about the sports and markets you bet on to avoid getting your account closed, the availability of opportunities is sporadic. Maybe there will be much more value at certain times, for instance during the European football league weekends. But, I did try looking at various times before kick/tip off for the UEFA football games and last night’s NBA games. A great question and one I plan to answer in more detail with a full blog post. But for now a shorter response will do. The first issues is what is a typical punter? Even trying to figure that our would be a huge assumption. I don’t see this product positioned for the typical punter anyway. It’s for someone a little more sophisticated, who has taken up all the sign up offers, ongoing bonus offers and knows a thing or two about the industry. They have taken all the freebies on offer and are looking for one more new angle to take more from the bookies. It’s priced as a premium product for those who see the value in it. Let’s look at the numbers. The edges on display are from a 100% market, so the edge you get (but more accurately, the closing line you beat) is what you can expect to make long term. I think 3% is achievable by betting on bigger leagues (American sports, Aussie sports and Bigger Soccer leagues). So a 3% closing edge means a 3% longterm profit. To cover $175 a month, you would need to bet about $6,000 per month. Off course we want to make at least 3 times extra on top of what we pay, so we would be looking to hit $700 of value per month. That’s a total turnover of $24,000 a month or $800 a day. But let’s say we want to protect our accounts for as long as possible. Depending on our banks, we could bet $100 per trade on average and need to find 8 trades across all the books each day (on average, Weekends we will do more than midweek). Sitting here now I see 4 NBA trades I could place, later today more will pop up and then there will be some on the Aleague later tonight. If I want to stay up to Midnight, I will see 50-100 on the bigger soccer leagues. I don’t think the issue is with getting on for the turnover required. I think the main issue is going to be how long the aussie books will let you do it for. The key here is to place 1000’s of bets to smooth out variance.. So we need the bookies to allow us to keep betting. We know that Aussie books are quick to limit. So this is something we will learn over time. How do we hide these bets in amongst our normal betting. What ratio of value bets to normal bets is needed to keep accounts going… all those things we can only learn with testing and time. The time invested I feel is minimal. The hour or two while the NBA kicks off in the morning, or MLB when that starts. An hour or so before all the big European soccer leagues start. But if you like your sleep that might be a hassle. You could just use the product over the weekend and still do the required turnover. Hopefully that answers some of your questions.. It is a niche product and might not be for everyone. But I’m sure there are at least 100 others out there like me who this will work for. Steve, related question. I have been following your service over the last season, NRL, AFL, NBA and NFL. In total 615 bets I managed to place. I got intrigued by the logic of comparing this to Pinnacle closing odds based on trademate’s article. First to my results: Total ROI was on 4.94%, very good actually. Now, if I calculate the described value of my odds compared to Pinnacle closing and include an assumed (generous) Pinnacle margin of 3%, I’m actually going into negative territory of -2.83%. I get it, there is variance, the larger my sample the more trustworthy ROI gets etc. etc. but this difference on at least a decent sample of 615 bets sounds like a huge deviation to me. Only looking at NRL and the 95 bets I’ve placed, it becomes very extreme with a ROI of 41% (yes, fantastic season) and a value of -4.07%. So this again would mean there was a massive amount of luck at play? It’s a difficult one as it depends on so many factors.. Where are you betting? are you getting best odds at time of release? Are the bigger bets beating closing line more than the smaller bets? 615 is still small and there was a great article I linked to on twitter and will do in an upcoming post showing that even after thousands of bets that variance can be extreme. NRL is a perfect example, as 95 is such a low number, nothing can be taken from it, not the actual return of 41% ROI (which as we all know is not sustainable) or the closing line loss of 4.07%. Over a season and even over many seasons, luck is going to have a huge factor in it. It’s only after years and years (something Sportpunter has but not many others do) can you start to gauge skill over luck. Thanks Steve! Not sure though why it’s relevant where I’m betting for this question, important is just which odds I get and how they compare to Pinnacle closing. More favourable odds would have just meant a more favourable ROI (and Value) but for the sake of this logic not really relevant. P-value with 615 bets, 4.94% return and average odds of 2.24 stands at 0.137, a 1 in 7 chance of this happening by pure chance. All else equal it would take me around 2800 bets to achieve what is considered statistical significance, a p-value of 0.01 or a 1 in 100 chance. We’re moving a bit into speculation area – I know – but what would really be relevant: Are Pinnacle closing odds at least not always that efficient and consequently my results would not necessarily be based on pure luck? This would mean the “value” of trademate would not necessarily be that guaranteed – even over a large amount of bets placed to smoothen out variance. 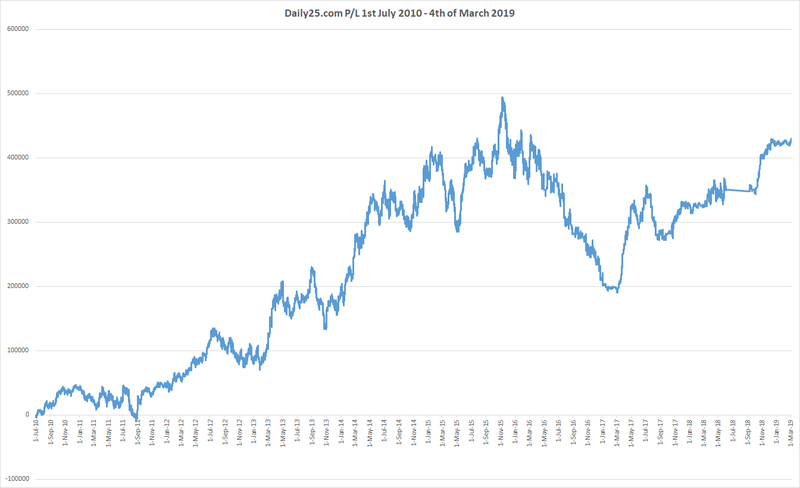 Btw, this would be an interesting post: Comparing sportpunter’s value over time when compared to Pinnacle closing and how this deviates from real ROI. Basically some study to help answering my question above. Could as well indicate (probably never prove though) if sportpunter’s value is still value or if indeed his edge in e.g. AFL is gone due to increased competition. Hi, how is everyone getting on with this? I ask because I’ve managed 543 trades and stand at -23.7% growth. my average edge placed is 5.9% and average closing edge is 4.8%. I’ve only been above the ev line for about 10 trades very early on. Want to hear some profit stories so I can cling to the hope as my profit line plunges ever downwards! There has been some work done about Pin closing and Soccer lines and it does show that they are the most efficient. I would also assume the big 3 American sports are also efficient, but have not seen research into this. I’m not so sure about the NRL and AFL markets.. Dailytrades will give us a lot of data this year to see if they are. Hey Ben, I’ll be posting a video of my results each month. Currently at 1.5% fund growth, but that is down from 15% earlier in the month. First few months we will have 50% of members sitting on huge wins and the other 50% on losses. Law of big numbers..
Over time we will also learn what works and doesn’t and be able to improve everyones results..